fantastic for vinyl lovers in the LA area! In an era when bricks-and-mortar record stores have been going the way of the dodo bird, it’s a bold endeavor to open up a vinyl record shop. But music lover and entrepreneur Michael Hobson’s strong belief that people crave a physical experience where they can consult with music experts and fellow music lovers led him to open High-Fidelity, a ground-breaking music store in Los Angeles’ trendy Los Feliz neighborhood. High-Fidelity will hold its official grand opening on Saturday, February 18, 6:00-11:00 PM at 1956 Hillhurst Ave, Los Angeles 90027. The Section Quartet will perform their unique strings version of songs by Radiohead, Muse, Yeah Yeah Yeahs and more. Special Guest - Kevin Bronson of Buzz Bands LA will spin tunes throughout the night. Hobson hired employees from Aron’s Records, the famed Hollywood record store that closed its doors in 2006, to run the shop. “They’re actually like Jack Black’s character in the movie ‘High Fidelity’ – they’re incredibly knowledgeable and they absolutely love music,” Hobson says. Due to Tony Iommi’s health issues, Black Sabbath have cancelled almost all of their planned 2012 tour. The legendary guitarist is currently being treated for cancer and will not be well enough to tour with the metal greats. The second album from cult Post Rockers Mothlite and the band's Kscope debut. The brainchild of the prolific and eclectic Daniel O'Sullivan (Ulver, Sunn O))), Guapo, Grumbling Fur etc). Mothlite moves in different musical directions from those taken by Daniel's other projects, recalling the ethereal 80's sounds of Talk Talk, Japan and Cocteau Twins, and fusing them with an innovative, forward-thinking approach to programming and sound design. The vinyl edition of comes in a 5 colour gatefold sleeve with a matt laminate finish. All vinyl copies ordered from Kscope come with a code to download the album, and the first 500 orders will come with an exclusive, limited edition 7" single featuring the radio edit of Something In The Sky b/w a cover of Why by Carly Simon. Pre-order now for 30th April release. Recorded & co-produced by Tony Doogan (Super Furry Animals, Mogwai, Teenage Fanclub, Belle & Sebastian), Fog Electric is an album of contrasts from a band of contrasts. Timeless Rock influences collide with the latest laptop technology, amidst a combination of dark foreboding tones and blissed-out serotonin-fuelled pastoral sweeps. Available in limited edition digi-book and vinyl formats. All vinyl copies ordered from Kscope will come with a code to download the album, and the first 500 orders will come with an exclusive, limited edition 7" single featuring the radio edit of Soft Coda b/w a cover of One Good Reason (by Bob Mould). wow, this coming to my neck of the woods, maybe a 3 hour drive, sounds like a plan! IRON MAIDEN, ALICE COOPER, DEF LEPPARD, POISON and GODSMACK are among the confirmed bands for this year's Rock Fest, which will be held July 19-22 near Cadott, Wisconsin. In 1942, the Mills Brothers recorded "Paper Doll." It was released as the B-side of "I'll Be Around," but became a hit when a disc jockey flipped it over. Recorded in 15 minutes, "Paper Doll" became the biggest hit of the Brothers' four-decade-long recording career. It rose to #1 on the music charts and stayed there for 12 weeks, sold more than six million copies, and was the biggest-selling non-holiday record of the decade. In 1956, Pat Boone's cover version of Little Richard's #17 hit, "Tutti Frutti", peaks at #12 on the US Pop chart. Boone himself later admitted that he didn't even want to record the song because "it didn’t make sense" to him. 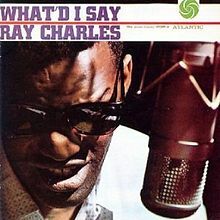 In 1959, Ray Charles recorded “What’d I Say,” in New York City. The song had evolved in concert as a call-and-response between Charles and his female back-up singers. It became Charles’ biggest hit to date, reaching #1 on the R&B charts and #6 on the pop charts. After his run of R&B hits, this song finally broke Charles into mainstream pop music and itself sparked a new sub-genre of R&B titled soul, finally putting together all the elements that Charles had been creating since he recorded "I Got a Woman" in 1954. The gospel influences combined with the sexual innuendo in the song made it not only widely popular but very controversial to both white and black audiences. It earned Ray Charles his first gold record and has been one of the most influential songs in R&B and rock and roll history. For the rest of his career, Charles closed every concert with the song. It was added to the National Recording Registry in 2002 and ranked at number 10 in Rolling Stone's "The 500 Greatest Songs of All Time". In 1960, in Nashville, the Everly Brothers recorded "When Will I Be Loved." In 1962, on weekend leave from training with the US Marines, the Everly Brothers sang their current single, "Crying In The Rain," on CBS-TV's "The Ed Sullivan Show." 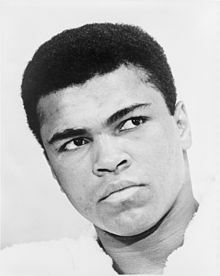 In 1964, while vacationing in Miami during their first trip to the US, the Beatles were involved in a photo session with heavyweight boxer Cassius Clay (who later changed his name to Muhammed Ali). Clay said, "You guys got to be making a lot of money. You ain't as dumb as you look." John Lennon replied, "No, but you are." That night at a local drive-in movie theater the group saw the new Elvis Presley film "Fun In Acapulco." In 1965, at EMI's Abbey Road Studios in London, the Beatles recorded John Lennon's "You've Got To Hide Your Love Away." 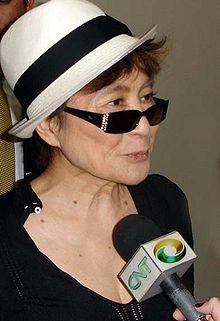 The song shows the influence of the American singer Bob Dylan. The song "is just basically John doing Dylan", Paul McCartney later said. The song is in a folkish strophic form and uses a Dylanesque acoustic guitar figure in compound time, chiefly acoustic accompaniment, no backing voices and light percussion from brushed snare, tambourine and maraca. In 1966, at Commemorative Auditorium in Sydney, the Rolling Stones began an 11-date tour of Australia and New Zealand with the Searchers as their opening act. In 1968, David Gilmour joined Pink Floyd as the replacement for founding member Syd Barrett who had checked himself into a psychiatric hospital and then gone into seclusion. In 1969, the Jimi Hendrix Experience appeared at the Royal Albert Hall, London. In 1970, Rare Earth released the single "Get Ready." In 1973, four men climbed onto the stage during an Elvis Presley show in Las Vegas. Fearing an attack, Elvis and bassist Jerry Schiff used karate to immobilize them. No charges were filed. Elvis told the audience, "I'm sorry, ladies and gentlemen. I'm sorry I didn't break his goddamned neck, is what I'm sorry about." In 1973, Blood Sweat & Tears, the Mahavishnu Orchestra, and Bruce Springsteen and the E Street Band were featured on the premiere of the syndicated radio concert series "The King Biscuit Flower Hour." 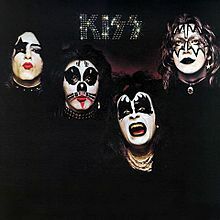 In 1974, KISS release their self titled debut album, but it will barely crack the Hot 100. It would take three more attempts for the band to establish itself. In 1974, Ringo Starr released the single "Oh My My." In 1974, Yes played their first show at New York City's Madison Square Garden. In 1980, during an interview, Rolling Stone Bill Wyman said that he intended to leave the band in 1982 on the group’s 20th anniversary. Wyman quit the band in 1993. In 1987, Bon Jovi were at #1 on the US singles chart with “Livin’ on a Prayer.” It made it to #4 in the UK. In 1987, Prince released the single "Sign O' The Times." He performed everything on the track except for some backing vocals by then-girlfriend Susannah Melvoin. In 1995, guitarist Bob Stinson from The Replacements died from a drug overdose, his body was found in his Uptown, Minneapolis apartment. In 1995, record producer Denny Cordell, who produced the debut albums of the Moody Blues, the Move and Procol Harum, died of lymphoma at age 51. After his early success in England, Cordell moved to Tulsa, Oklahoma and started Shelter Records with keyboardist Leon Russell, signing to the label J. J. Cale, Phoebe Snow, Leon Russell, Joe Cocker, and Tom Petty and the Heartbreakers, among others. In 2003, country music singer Johnny Paycheck died of emphysema at 64. In 2006, at Copacabana Beach in Rio de Janeiro, the Rolling Stones gave a free concert to a crowd of more than one million people. In 2006, the surviving members of the Bee Gees, Robin and Barry Gibb, returned to the stage for the first time since their brother Maurice died in 2003. The pair reunited for a charity concert in Miami to raise money for the Diabetes Research Institute. In 2009, his management team announced Michael Jackson's intention to auction off his American Music Award for "Thriller," his Gold and Platinum records, a Rolls Royce limousine, a customized Harley Davidson, a velvet cape given to him by his children for Father's Day in 1998, a pair of rhinestone-trimmed socks from 1981, a basketball signed by Michael Jordan, and his own original artwork. In 2010, Gordon Lightfoot was headed to the dentist when he heard on the radio that he was dead. "It seems like a bit of a hoax or something," the 71-year-old singer said. "I was quite surprised to hear it myself."